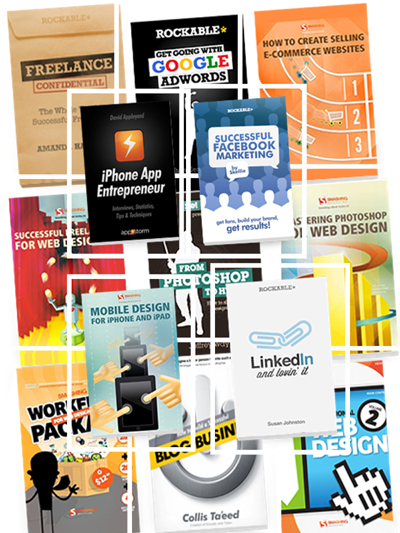 Web design, with its wide range of disciplines and fields, is not an easy nut to crack. However, it is possible to put together a book with some of the crucial principles and fundamentals that you will need for every project you take on. Learn about the harsh truths of corporate Web design and the troubles you are bound to run into. Create effective online portfolios with optimized user experiences, without the usual trial and error. Use storytelling to create engaging user experiences. Impress clients by staying on top of enhancements and Web standards. And in case you’re wondering how to handle clients, we have some professional advice on how to deal with exceptional situations and customer requests. In this book Kate shares with you her experience and expertise by covering everything from the history and theory of icon design, to best practices and methods. She’ll also take you through the whole process of creating your own icon set, and walk you through actual tutorial exercises where you’ll design icons from scratch. The Smashing Workflow Package provides financial and legal advice as well as work related icons and vector graphics for professional Web designers. These will surely help you to improve your business workflow and help you carry out sound decisions when engaging in business with clients. Additionally, we’ve carefully prepared samples of legal documents, along with explanations of their purpose and best use. This product also contains 26 icons and 20 vector graphics. You can use both the samples and the included graphics within the bundle for your private as well as commercial projects without any restrictions. Getting the Hang of Web Typography is dedicated to web workers that are dealing with typography in their daily lives, but have no special training for this independent craft. This eBook gives you the necessary background on macro- and microtypography, it helps you to choose suitable fonts and use modern techniques such as Web font embedding. It’s a valuable book that helps you to create rich, sophisticated Web sites with beautiful and elegant Web typography. In Getting Good With Git, Nettuts+ author Andrew Burgess will guide you through the sometimes-scary waters of source code management with Git, the fast version control system. As seen on the Tuts+ Marketplace, but now with over 2 1/2 hours of screencasts! Git’s speed, efficiency, and ease-of-use have made it the popular choice in the world of source code managers. In this book, Andrew Burgess will take you from knowing nothing about source code management to being able to use Git proficiently. You’ll look at why you should use a version control system, why Git is better than the other options, and how to set up and use Git. This book covers some of the advanced features of Git, and includes an appendix of other resources that will take your Git knowledge to the next level. We’ll even get to know GitHub! Are you stumped by the rather sophisticated nature of CSS ? Getting a grip on this still dewy technology isn’t quite as hard as you might think. Connecting the dots is easier when you have all the vital facts within reach. And that’s what Mastering CSS for Web Developers is all about. This eBook offers 15 hand-picked articles that overflow with professional advice and that reflect the deep experience of the Smashing Magazine authors you trust — authors who know exactly what they’re writing about. Tuts+ Premium eBooks-updated download links are externally hosted on Extabit, Rapidshare, Rapidgator, Netload, Uploaded and Tuts+ Premium eBooks-updated also available directly on Torrent Sources.